For the sailing novice reader I should explain a few sailing terms. The boat we chartered is a catamaran meaning that it has two hulls. The more familiar type of sailboat has one hull and is known as a monohull. Our boat carries two sails: the large sail attached to the mast and boom known as the mainsail and the smaller sail at the front known as the foresail. 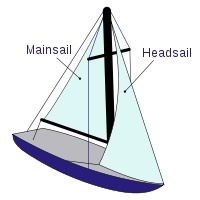 Depending upon the size of the foresail it is either called a jib or a genoa although the generic term jib can be used for either type of foresail. Without getting technical as to why, our sail would be properly called a genoa. You cannot sail a sailboat directly into the wind but you can sail it at about 30 degrees to the wind. When you at this angle it is known as being “close hauled”. 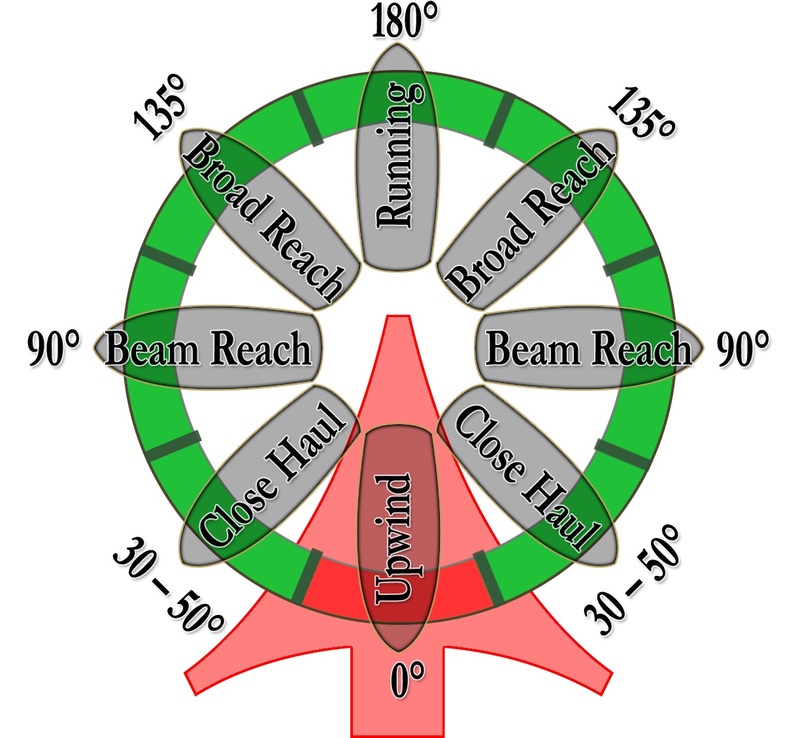 When you are sailing at 90 degrees to the direction of the wind it is known as a “beam reach”. When you are sailing with the wind almost, but not quite, at your back (i.e. about 120 degrees to the direction of the wind) it is known as a “broad reach” and when the wind is directly behind you it is called “running with the wind”. tie up to a dock in a marina. You can anchor. 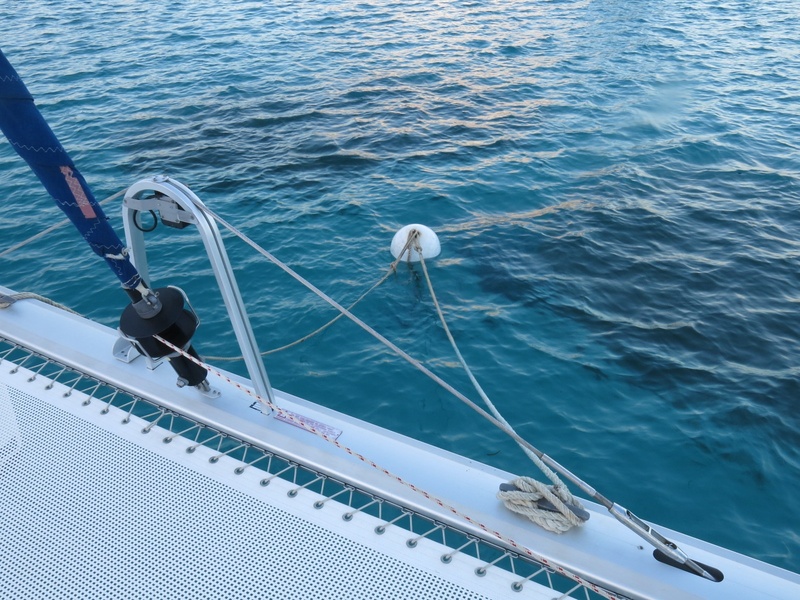 Or you can tie up to a mooring buoy which is usually a floating ball attached by a length of chain to a permanent anchor of some kind. The ball normally has a ring on top or a length of rope with an eye at the end that you loop a line from your boat through and tie off to a cleat on your boat. And if I haven’t confused you, that is as technical as I will get for the purpose of this blog. This entry was posted in Caribbean, Sailing, Uncategorized. Bookmark the permalink.